Enlarge / It’s time to embark in the next Desti—er, no, sorry, this is a teaser for BioWare’s new series Anthem. EA’s E3 press conference on Saturday ended with a big, Anthem-loaded bang. The first entry in BioWare’s next game series, an open-world online-shooter that looks like Destiny with jetpacks, was showcased with a alleged real-time gameplay demo and a release date confirmation: February 22, 2019. The gameplay reveal focused largely on full jetpack control, which allows the game’s heroes (in suits called “Javelins”) to fly up, over, and all around giant worlds and combat arenas, along with bombastic, third-person combat against giant, handsomely rendered beasts. 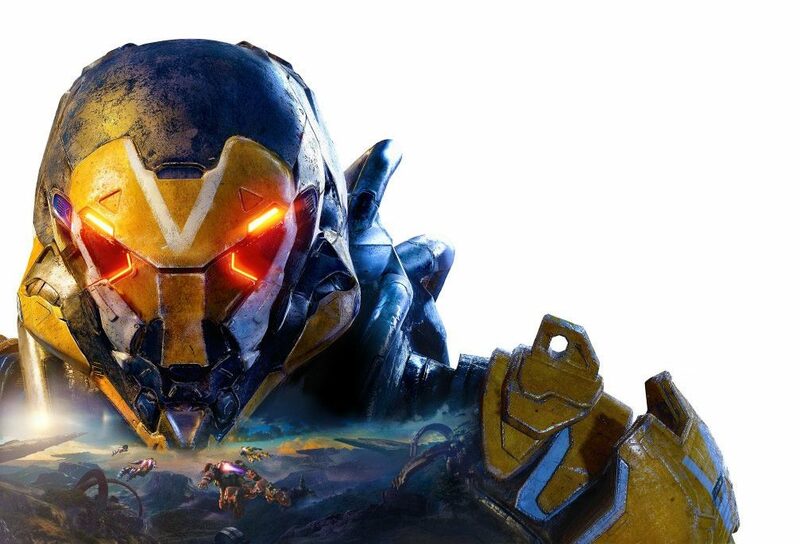 The reveal didn’t include hard proof of BioWare’s promises about story content in the game, however, particularly BioWare’s onstage assurance that Anthem can wholly work as a single-player experience. A lengthy Game Informer feature story makes the game sound mechanically and structurally quite similar to Destiny and Destiny 2, particularly its calls for co-op requirements to get through higher-level campaign challenges and raid-like “stronghold” battles, along with a greater emphasis on real-time action over RPG-style combat and decision-wheel storytelling. Thus, Anthem is in the precarious position of making promises about an engaging combination of combat, plot, and endgame progression—a juggle that the Destiny series has fumbled time and time again. One of the most significant differences from the Destiny games, however, is that Anthem‘s between-mission hub world, Fort Tarsis, is not a multiplayer lobby. Instead, Tarsis offers a single-player, plot-filled hub full of computer NPCs, game-altering decisions, and friendship possibilities. Combat missions out in the field will be offered to players after suiting up and making decisions in Tarsis, but it’s currently unclear how many Mass Effect-like branching opportunities will actually unfold in this Tarsis experience. BioWare has confirmed “no loot boxes” and “no ability to pay for power” within Anthem‘s wholly-cosmetic DLC model, but the dev didn’t make clear exactly what kind of season pass or DLC chapter content might be sold for the game at a later time. The studio also confirmed that whatever interactions players will have with NPCs in zones like Fort Tarsis, those will not include any romances, breaking from the traditions established in the likes of Dragon Age and Mass Effect. Much of the EA Play press conference revolved around expected announcements for the EA Sports line, including new entries in Madden, NBA Live, and FIFA coming this fall—but with one surprise. For the first time since Madden ’08, EA Sports will launch a full Madden game for Windows PC via its Origin service. New Battlefield V gameplay videos, posted by YouTube channel hosts in attendance, showed more hard gameplay footage from its multiplayer mode, as opposed to last month’s cinematic, perspective-shifting reveal trailer. During the press conference, DICE confirmed that Battlefield V will at some point receive its own “battle royale” mode, though specifics about how it might emulate the likes of PUBG and Fortnite or when we might expect the mode to land within the BFV client were not yet confirmed. And two games were outright launched during the EA Play: Unravel 2, a co-op sequel to the 2016 EA-published puzzle platformer, and Command and Conquer: Rivals, a new free-to-play, Clash Royale-like spin on the classic RTS series for iOS and Android. The latter’s launch is far more limited, however, with Android users having first crack at the game’s “pre-alpha” test version. EA’s deal with the Star Wars franchise received scant attention during the press conference, with new Battlefront II content being revealed before Respawn Entertainment’s next game title for EA was finally confirmed: Jedi: Fallen Order. Respawn offered zero gameplay of this new game on the EA Play stage. Instead, it simply confirmed that the game would let players fight as a Jedi in events between episodes III and IV of the film series.